CIAC accreditation can not be used as a substitute for government regulations. However, it is granted to organizations / institutions, subject to fulfilment of all local government norms and regulations followed by compliances necessary to demonstrate quality standards that they maintains in their deliverance. The 7 step Accreditation Process ascertains these facts and on their successful display, accreditation is granted to endorse the quality standards that the organization / institution maintains. The applicant institution completes the order form for the application manual. Fill in your Application online, offline or through a consultant. CIAC will evaluate the information provided in the application for accreditation within seven (7) days. On successful evaluation, submit documents to validate the information provided in the application. 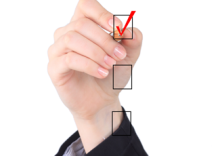 Candidacy status marks your organization/ institution as eligible for full accreditation. you will receive points, profile score & a letter. After satisfactory audit your organization/ institution will be granted the status of full accreditation along with final points and star ratings through certificates. CIAC Consultants will work on areas which need improvements to enhance the star rating of your organization / institution. Full accreditation is for an indefinite period subject to periodic assessment of maintenance of quality standards through annual renewals. At the end of each year a renewal fee is due along with a statement regarding any change to the quality standards & measures taken to enhance the quality of the Institution in picture. Accreditation is a long process, any time during which Applicant Status indicates that an institution has achieved initial recognition and is progressing towards Quality Assurance Certification. Within ninety (90) days of receipt of application for accreditation, CIAC will review applicant documentation. However, continuation of applicant status does not assure that accreditation will eventually be attained.